How much time does the course take to finish? When is the next course going to start? 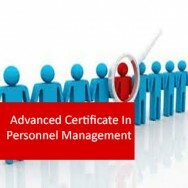 This course has not got a time limit or start date as it is all self paced. You can start whenever you wish. Diploma in Marketing course online. Marketing is the art of convincing. It goes beyond just selling, and requires an open and trustful relationship, even in that short period of time when the sale happens, between salesperson and client. 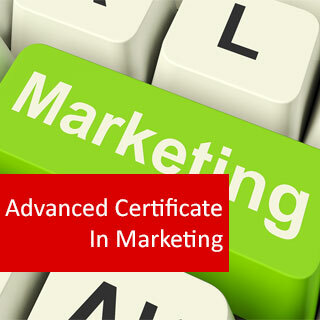 Learn the basics of the art of marketing in this certificate. 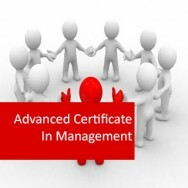 A successful career in marketing relies on the most suitable training. Although confidence, organization and good social skills are an asset, online education will be the ultimatum for success. This distance-learning course provides you with a solid base for having a career in marketing, either on your own or under a business. The right combination of knowledge, skill and character will always be in high demand; so if you require the skills and knowledge this course is the step towards the right direction. Most business want to sell more; and all too few who can aid them. Skilled marketers are going to always be in supply. Learn to offer goods and services. Learn to understand the customer and what persuades them to buy and what persuades them to discard what you are offering. Understand to appreciate delivery systems and manage marketing so you are not selling above or below your capacity to aid the customer. Develop an ability to manage commercial transactions electronically, particularly via the internet. While the course is concerned with marketing, management and processing; the primary concern is marketing. E commerce is short for “electronic commerce”. It is anything concerned with doing business electronically. Ecommerce includes commerce conducted over the internet, but also other forms of electronic commerce such as telephone banking, using a fax, or generating and managing accounting systems on a computer (without use of the internet). This course focuses on the internet; but covers other aspects of e commerce as well. 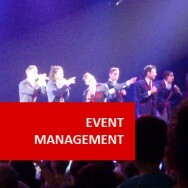 Presentation and selling: Personality. "Never judge a book by its cover." A wise old saying! but people who buy do make judgements especially about sales people. Dress and grooming are top priority in selling. 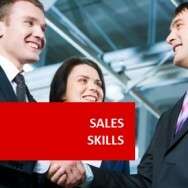 As well you must learn how to develop a selling personality. Communication and Conversational selling: Learn the art of written and verbal communication in easy to understand terms. Marketing (Buyer analysis and motivation): Presentation of products to consumers and motivating them to buy. Know your product and pre planning: Through observation, reading and listening get to know your products (pre planning is essential in today's complex society). Selling made as simple as A B C: The procedure of selling. "The Opening" (getting the attention of the buyer): Creating the right atmosphere for a sale to take place. "Closing a Sale" (overcoming objections): Buyers will tend to look elsewhere unless a salesman can close a sale in an appropriate amount of time. Learn the secrets. Stress Management: Learn the art of relaxation through stress management techniques. Report Assessment Writing: Salespeople need to have the ability and skill to write a condensed and accurate report on which management will comprehend and act upon. The internet brought about massive changes, starting in the 1990’s, by connecting people around the world in ways that they had never been connected before. The market for products and services is, therefore, a global one. Obviously this will depend on the product or service you are selling. If you are selling a cleaning service, then you are not really going to travel from the UK to China to clean someone’s house. But if you are a cleaning company who is setting up franchises, then you may offer services throughout the world through your franchisees. So it is important to consider what your actual market is. Think – you are a book seller. Because of postage charges, you decide to only sell to people in your country of origin, but how many customers does that mean you lose? If you are able to charge more for postage or able to absorb that postage cost, then you have increased your potential customer based by thousands or maybe millions. It is important to realise that those marketing changes which started a couple of decades ago are continuing, and there is no certainty as to how you should be finding customers in the future. Look at the current use of facebook and other social networking sites! Many big businesses, such as Ford, currently use their facebook page to advertise their products. there are more general exhibitions and shows, where firms may rent a stall. For example, a firm selling boots or wellies may hire a stall at a gardening show. companies. There are many different opportunities for this now. 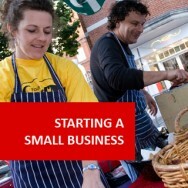 For example, you can often hire smaller billboards in public toilets, bus stations and so on. your firm. For example, donating to a charity, a member of staff having their head shaved for charity, opening a new shop, the fact that the firm has been running for a year etc. may write an ebook or book about life coaching, where they also will list their own website. People buying the book will also become aware of their life coaching business. to potential customers. It is no good spending thousands on a brilliant website that the customer does not see because it does not come up in internet searches. use of social networking sites to attract potential customers. Word of Mouth/Recommendations – These are a good way to attract potential customers. Some firms will artificially create these forms of recommendations. For example, if you recommend us to a friend and they purchase something from us, we will give YOU a 10% discount on your next purchase. that it is good for their image. on what and how you are selling. so on. With the directory, they are able to offer more products than they can in store, whilst also trading on the name of their high street shops. crisps firm may send out calendars to pubs, as a constant reminder to the person who orders the snacks, that they offer peanuts and other pub snacks. The way in which you are able to be visible in the world of marketing is going to keep changing as technology develops, media evolves and trends change.